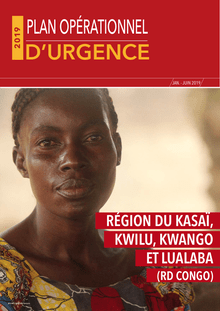 Speaking to Angop after three-day visit to Bié province, the official said that the Executive has outlined several projects for the coming months. 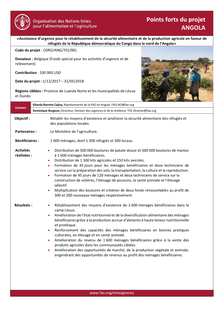 The objective is essentially to tackle the negative effects of the drought affecting populations of southern Angola, in particular in the province of Cunene. 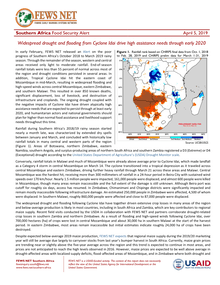 Since January, below-average rainfall has sustained dryness in western Madagascar. Tropical cyclone Idai is forecast to bring another week of heavy rainfall to Mozambique and Malawi. 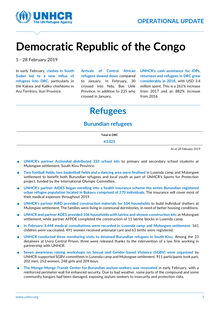 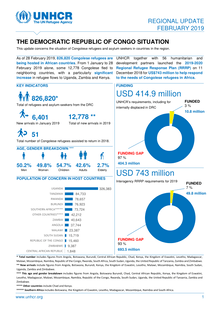 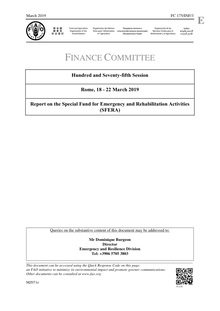 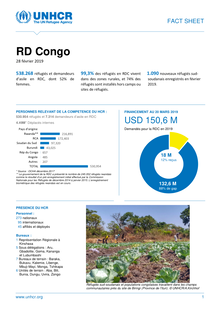 As of 31 January 2019, 825,002 Congolese refugees are being hosted in African countries. 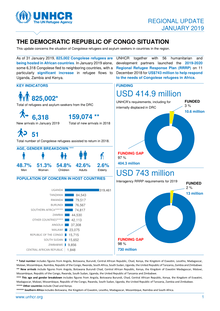 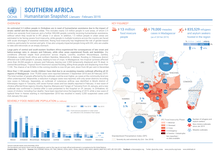 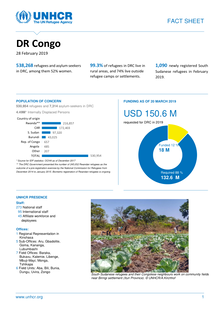 In January 2019 alone, some 6,318 Congolese fled to neighboring countries, with a particularly significant increase in refugee flows to Uganda, Zambia and Kenya. 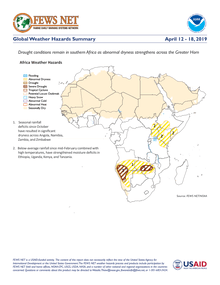 Significantly below average rainfall since October has caused widespread dryness in southern Africa. Drought continues in Namibia and Angola. 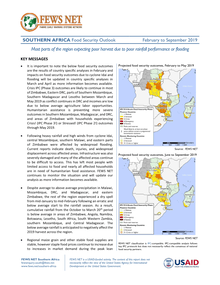 Since late January, below-average seasonal rainfall has resulted in dryness across Mozambique and Madagascar. There is a high flood risk in Malawi and Mozambique as heavy rainfall is forecast early next week.